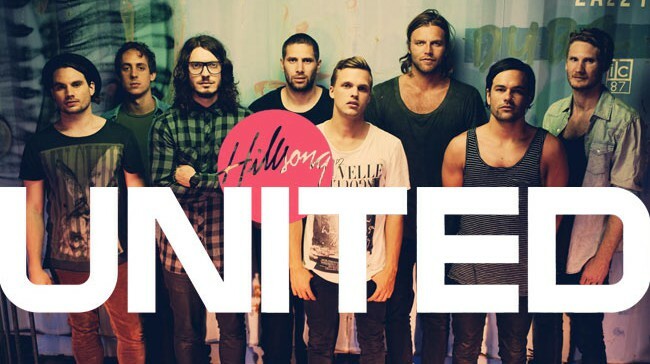 Let Hope Rise…Hillsong United Movie? Warner Bros. is producing a film about Hillsong United entitled Let Hope Rise [lyrics from one of their popular songs]. Their music and influence has reached a level of popularity that a documentary is going to be released in theaters some time in April of 2015. It will take an account of their journey to popularity from a little youth group band to being one of the most prolific worship bands in the world. Obviously, this is being marketed to christians, but it should be an interesting event in pop culture to see how critics, both christian and non-christian, treat the film as a whole. They seem have to have an edge on the keeping up with the “coolest of cool” in terms of breaking new territory in the christian music and worship genre’s. In Phil Wickham’s Silence God Speaks. Phil Wickham, a leading voice in the modern worship music scene, began to struggle with his vocals while on tour in New England. It eventually led to the doctor’s telling him he had to remain silent for an undetermined amount of time. Given the opportunity to listen more intently, Phil recieved some understanding about his IDENTITY, how his gifting wrapped into that identity, and the legacy it was leaving. Due to the loss of his voice, Phil had to cancel a few dates including the conference Catalyst. 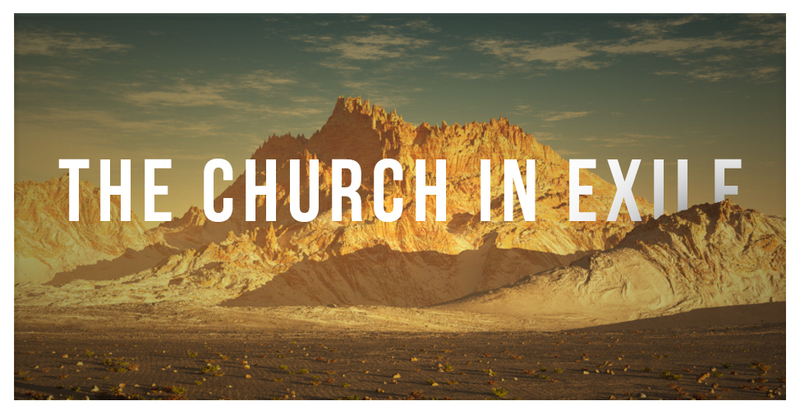 He decided to write a letter to share at the conference what had happened and what God was teaching him through it which he posted on his site. I resonated with Phil’s letter because identity has been a major theme in my life which has been reflected in the ministry that I lead at Faith Bible Church. I would encourage you to read Phil’s letter here and reflect on it! *The College ministry that I lead put together an EP based on the theme of identity. Check it out here. The question has been asked of me…why #PrayForSochi? 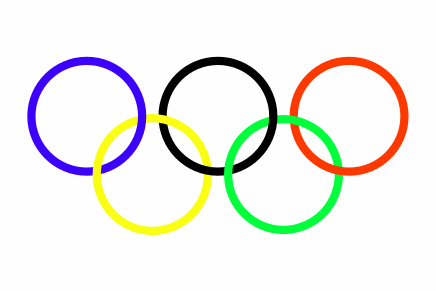 There’s a lot of pressure to host the Olympics well and I believe Russia has the heart and ability to do it! 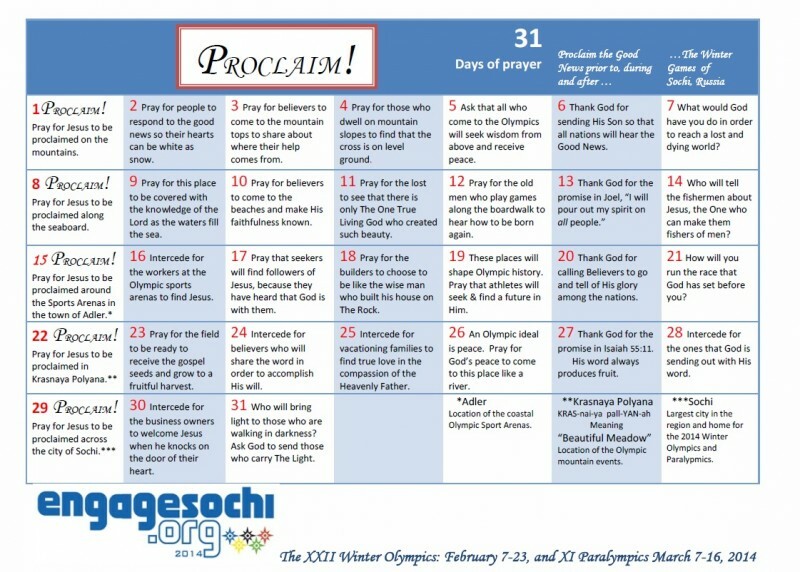 I found a helpful Prayer Calendar online that will help guide some of the themes from Engage Sochi. Love this video and song. Can’t wait to hear the rest of the album.